Federal Investigation Agency (FIA) Director General Malik Muhammad Iqbal on Monday tendered an unconditional apology in the Supreme Court (SC) for interfering in the investigation of the NICL scam. The court, however observed that his explanation was not satisfactory and deferred the matter to May 18.The FIA chief was issued a contempt of court notice last Tuesday for transferring FIA Additional Director General Zafar Ahmed Qureshi, who was investigating the NICL scam involving Moonis Elahi on the SC’s orders. During the hearing, Chief Justice Iftikhar Muhammad Chaudhry observed that the FIA DG had made an unsatisfactory justification for Qureshi’s transfer. He observed that no one was paying heed to the directions given by the superior courts. “Bring Zafar Qureshi back to his position and then we will think about your unconditional apology,” the chief justice said, adding that the FIA DG disobeyed the court’s directions. In his statement, the FIA chief admitted writing a letter to the Interior Ministry and submitted that it was written in good faith to relieve Zafar Qureshi from his additional charge of FIA additional director general. He said he had not requested Qureshi’s transfer, adding that the Establishment Division had considered transferring him because “they think the interim challan of the case had been submitted and major amounts were recovered and the case was already in the court”. 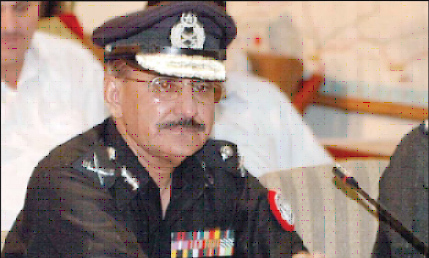 He submitted that the Establishment Division had incorrectly attributed the use of the expression ‘Challan’ to him, saying that he had never used the word. He submitted that he had written to the interior secretary on April 29 asking for withdrawal of the notification transferring Qureshi so that he could complete his investigation.